In preparation for my new self-published book in the making, I’ve been spending some time pondering what makes wines from the French Alps so special. I’ve also been trying to define where the wine regions of the French Alps begin and end, and indeed why. My first book, Jura Wine, seemed impossible to create when I started it, because the region was so complicated, mysterious and misunderstood. But, at least I was dealing with just one small region and it took me only about an hour to drive from north to south (if I leave out the wines of the greater Franche-Comté region, covered in one small chapter). 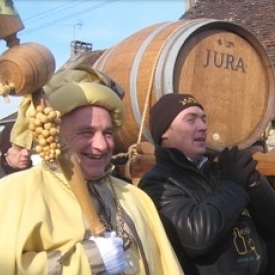 There, Vin Jaune was undoubtedly the hook, providing the region’s originality, even though the variety of Jura wines produced is so extended. Next on the list of easily-solved dilemmas was whether to include the fascinating, but tiny wine regions of Isère, which are outside the Savoie AOC and sold as IGP Isère, with either Balmes Dauphinoise or Vallée de Grésivaudan tacked on the end of that appellation. The best-known producers include Nicolas Gonin and Thomas Finot, respectively in those two districts. Again, Isère wines are wrongly listed as Savoie wines on many lists, but of course they are part of the local story I need to share. Already, the geographic area I intend to cover is huge… and there’s more to come. So, what do these wines offer that is original? Is it their lightness of taste from being grown in a harsh mountain climate? Is it their minerality, born as they are so often from hard mountain rock? Or is it that so many are made from extremely rare grape varieties, usually indigenous to their region? 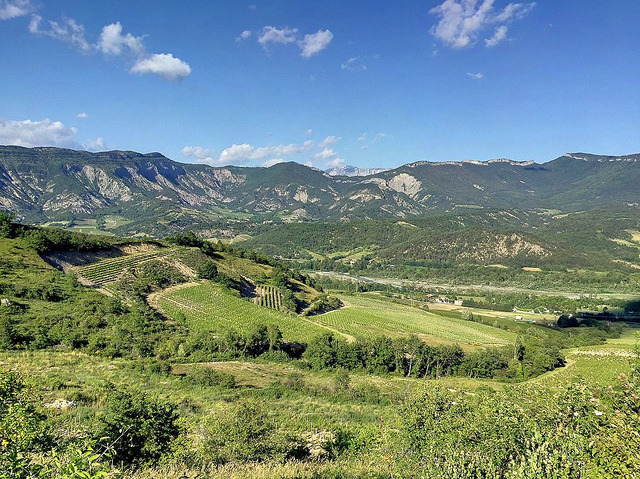 The first two factors may be important, but they are neither exclusive to Alpine regions nor do all the wines from the French Alps show these characteristics. The more I taste and ponder, the more I believe that it is the unusual grape varieties that give the most excitement and originality. 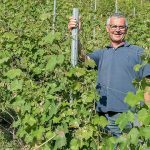 Altesse and Mondeuse, the stars of Savoie, are also grown both in Bugey and Isère, and although Burgundian varieties are prevalent too in places, the excitement is of course in the many other obscure varieties grown, sometimes in tiny quantities. The French Alps are not only where many grapes originated from, but also where several are being revived, as well they should be – if you are not convinced of the importance of this movement, read my article from last year in Wine-Searcher: What’s the Big Deal about Rare Grapes. It was an interest in rare Alpine grape varieties that lead me to visit the French wine region of Hautes-Alpes last year and decide that it must form part of my book. A group of vignerons have been reviving what was once a densely-planted wine region and a few of them are making excellent wines, including from a highly obscure red grape, named Mollard. The Hautes-Alpes wine region is south of Grenoble, east and south of the town of Gap. It sits on the same latitude, as the area of Diois, where Clairette de Die comes from, but 90 minutes’ drive away on the other side of a mountain. The Diois is considered part of the Côtes du Rhône region, but so far away from it, that it is all too often ignored. Clairette de Die sparkling wine is made mainly from Muscat à Petit Grains, hardly a rare grape variety, nor of Alpine origin. However, my second visit to the region last year confirmed to me what a truly Alpine area it is with vineyards on the foothills of the Vercors Mountains, part of the Pre-Alps and rising to nearly 700 meters, as do many of the Hautes-Alpes vineyards, considerably higher than those in Savoie. 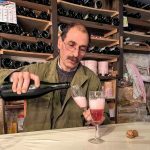 Another connection is that Clairette de Die is made in the same Méthode Ancestrale method as Bugey Cerdon, the rosé sparkling wine, whereby hangs another, evolving fizzy wine tale of rivalry and jealousy. Is this an Alpine vineyard? Vercheny in the Diois. Photo by Brett Jones. Despite the fact that the Alps stretch down to Nice and the Mediterranean, the scope of my Wines of the French Alps book will go no further south than the Diois and Hautes Alpes. These areas already have an atmosphere that seems like a cross between Alpine and Provençal, and if you head further south it truly becomes Provençal territory and a whole different style of wine is the result. In the next couple of months, I shall announce a new Kickstarter project to help finance Wines of the French Alps, which I hope you will support. 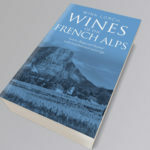 In the meantime, my first book continues to do well – please remember to encourage friends and colleagues worldwide to buy Jura Wine direct from here, my own site (rather than from Amazon, where it will cost more and be delivered more slowly), and contact me if you wish to discuss a wholesale deal. Thank you for your ongoing support! In the meantime, for readers of French a wonderful new book has appeared about rare grapes. I reviewed it for Circle Update, the journal of the Circle of Wine Writers, so I am including my review below. 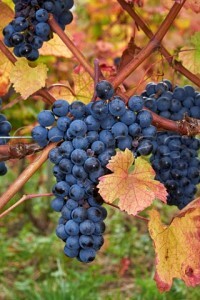 You might think that there would be little more to write about grape varieties, following the publication of Wine Grapes (detailing 1,368 varieties) in 2012 by the three Js, joined in 2015, by a new edition (in French) of the nonagenarian Pierre Galet’s encyclopaedia of grape varieties. Yet, for those of us specialising in certain wine regions, where rare grapes abound, that simply isn’t the case – there is a mass of information to be uncovered. 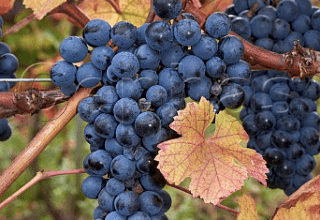 Indeed, in the past decade, there has been an encouraging resurgence of interest in rescuing obscure grape varieties from oblivion and many vine conservatories, as well as associations of wine pros and amateurs, have taken on this mission. This book is only in French and the nearest translation of the title that I can come up with is ‘Discovering humble and forgotten grape varieties’. André Deyrieux is named on the cover as the author, but he was, more realistically, the content editor, working with several other enthusiastic writers, including Jean Rosen. For some years, the latter has organised an annual conference on rare grape varieties and through this, the book was born and later, almost miraculously, taken on by the publisher Dunod, part of the Hachette group. The first 45 pages of the book provide an introduction to the subject, through essays and explanations written by several different people. They vary in their usefulness, but do set the scene well overall. The essence of the book though is the profiles of the 50 grape varieties they have chosen to highlight, all of which are being made into wine somewhere in France. Some choices, like Alsace’s Sylvaner or the Languedoc’s Cinsaut may be surprising, but fall into the ‘humble’ category, I guess. However, at the other extreme are Genouillet (central Loire) and Ribeyrenc and Oiellade (both from the Languedoc), grapes that I’d never heard of, and rare Alpine varieties that I know well including Mollard, Etraire de l’Adui and Persan – only a few hectares of each of these are planted today. The writing style of the profiles is much easier for a non-French native to understand and given a light humorous, but informative touch. Each one ends with a short piece about a vigneron, who is growing and making a wine from the variety concerned. I have often complained about the presentation of wine books published in France, but this one is a sheer delight in terms of layout and overall design. The only let-down is the quality of the photographs, but no doubt there was no budget to pay for professional ones. 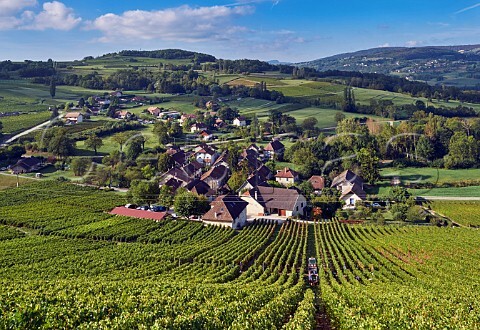 A real bête noir of mine is that the landscapes photographs used (rather than pictures of specific grape varieties or vignerons) are utterly useless without a caption and these are glaringly absent. Quotations and sayings are dotted throughout the book. I love this one from Leonard Humbrecht of Alsace: “Le cépage est le prénom; le terroir est le nom de famille” meaning ‘the grape variety is the first name, and the terroir is the surname’. 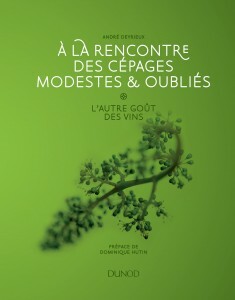 For readers of French, this book is a must for grape geeks.